The NASA Earth As Art collection features stunning images of Earth from five U.S. Earth-observing satellites. 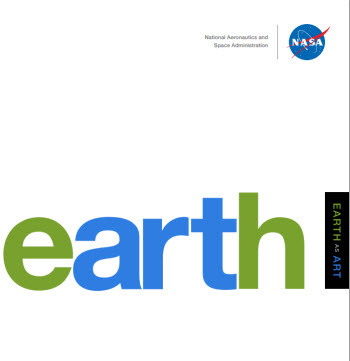 Download the free NASA e-Book filled with beautiful images of the Earth as seen from space. An iPad App is also available. "In 1960, the United States put its first Earth-observing environmental satellite into orbit around the planet. Over the decades, these satellites have provided invaluable information, and the vantage point of space has provided new perspectives on Earth. This book celebrates Earth�s aesthetic beauty in the patterns, shapes, colors, and textures of the land, oceans, ice, and atmosphere." --NASA Science Mission Directorate, Earth Mission Division. If you own a Kindle Fire HD you'll be able to email the downloaded PDF to your kindle address and view it in your Kindle Fire.